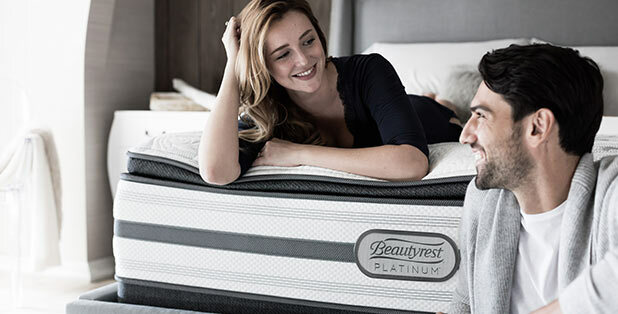 Beautyrest® mattresses help people sleep better all over the world, but they design, build and test their products right here in the USA. So if quality is something you typically toss and turn over, you’ll sleep like a baby on a Beautyrest mattress. Temperature Management – A fiber enhanced with silver designed to help move both heat and moisture away from the surface of the mattress to maintain an ideal sleeping tempurature. Elevated Comfort – A soft, supple fiber enhanced with silver to prevent the growth of stain and odor causing bacteria, mold and mildew to help keep your mattress fresh. There comes a point when you’ve had enough family hand-me-downs, college cots, and lumpy futons. The time when you’re ready for real sleep. 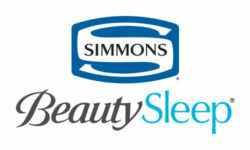 A Simmons Beautysleep® mattress is your entry into the Simmons world of comfort, support, durability, and better sleep for years to come. Our 700 Series Wrapped Coil provides exceptional motion separation, comfort, and back support. Our luxurious stretch-knit fabric is incredibly comfortable and soft—but also resilient, with a circular knit design that adds a touch of elegance.